Ko Olina, Hawai‘i – One might wonder what would move veteran hotelier Charlie Parker from the iconic Four Seasons at Ten Trinity Square in London to the Hawaiian Islands but a close look at his CV reveals a connection to the ocean that crosses continents and an affinity for surfing, scuba diving, ocean navigation and working closely with local cultures. “I felt very connected here from the moment I arrived,” says Parker, referencing the fraternal bond between island states that brought England and Hawaii together in the 18th century when seafaring British captains came into contact with the Hawaiian Royal family. The presence of the Union Jack in the design of the Hawaiian flag dates back to 1793 when British captain George Vancouver presented it to King Kamehameha I. It remains as a symbol of friendship and sovereignty. For Parker, the experience was a full cultural immersion in rarely seen Maldivian life, seeking out the artists, story tellers and craftsmen who populated the islands and sharing their stories – a precursor of the #FSWayfinders programming introduced by Four Seasons Resort Oʻahu at Ko Olina. Sharm El Sheikh in Egypt was to follow for Parker, known as one of the best places on the planet to dive. The waters of Ras Mohammed National Park, where the open expanse of the Red Sea begins, are a paradise where divers drift by towering schools of snapper, tornadoes of barracuda, Hawksbill turtles and sharks. Charlie Parker’s love of history parallels his love of the sea. After setting sail in the Maldives and two assignments in the Middle East, he returned to England to Four Seasons Hotel Hampshire, a country retreat where Henry VIII met Catherine of Aragon for the first time. With 500 acres of historic parkland, the hotel pastured cattle, raised chickens, produced its own honey and vegetables and worked with local producers to bring farm to table. He sees the same potential for island to table gastronomy on Oʻahu. Originally from Edinburgh, Scotland, Charlie Parker earned his degree in Hotel Administration from the University of Surrey, U.K. and Michigan State University, USA and joined Four Seasons London at Park Lane. Over the course of his 22-year career, he has attained experience in a wide range of locations globally, including Newport Beach, Sharm El Sheikh, the Maldives, Doha, Egypt and the U.K. where he was first promoted to General Manager at Hampshire in 2011. He is known for his strong business acumen, calm demeanor, and unwavering commitment to guests and employees. 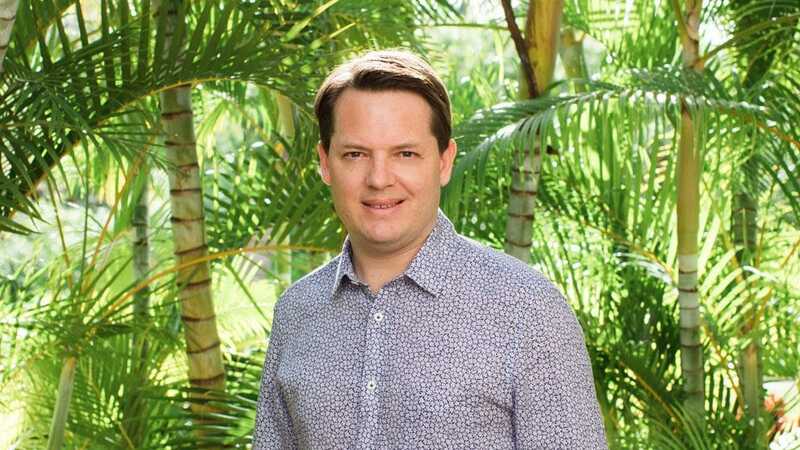 In addition to spending time with his family (his wife Rebeca is a former Four Seasons executive and has opened five hotels) Charlie loves all things sporting and is looking forward to wind surfing, scuba diving and hanging ten Hawaiian style. An oasis of luxury on Oʻahu’s leeward coast, Four Seasons Resort Oʻahu at Ko Olina balances a classic Hawaiian style with one-of-a-kind luxury, just 35 minutes from downtown Honolulu. Edged to the north by the pristine nature preserve of Lanikuhonua (“where heaven meets the earth”) and to the south by Ko Olina’s four lovely beach coves, Oʻahu’s first Four Seasons is recognized by Travel & Leisure as one of the world’s top new resorts in 2017. The resort boasts 370 luxury guest rooms and suites, five restaurants, four pools, a 35,000 square foot spa & wellness centre and breathtaking views of the Pacific Ocean and Ko Olina’s turquoise-blue waters. It’s a short walk to the award-winning Ko Olina Golf Club and just a few minutes’ drive to the Ko Olina Marina, Hawaii’s only private deep-draft marina. In 2016, Four Seasons Resort Oʻahu at Ko Olina introduced #FSWayfinders, an ongoing series of workshops honoring revered cultural storytellers, artisans, crafters, and some of Hawaii’s most fascinating living legends. For further information, follow @fsoahu or visit http://www.fourseasons.com/oahu. For Reservations, call 1 (808) 679-0079 or toll-free 1 (844) 387-0308.